TechARP has all the details about NVIDIA's Ninja Graphics, a new technology that get you fragged less in FPS games. You can read about it over here. After a rather long hiatus, NVIDIA has finally launched their Kepler microarchitecture and its flagship graphics card, the NVIDIA GeForce GTX 680. Amongst Kepler's many new features and improvements is the NVIDIA GPU Boost Technology, which gives the GeForce GTX 680 a further boost in its performance by dynamically overclocking it for apps that aren't so graphics intensive. However, many gamers are wondering - why would you need to further overclock the GeForce GTX 680 for games that aren't graphics intensive? The GeForce GTX 680 should have no problem delivering frame rates in excess of 60 fps for such games. So there is really no need for GPU Boost. Well, apparently, NVIDIA has something up their sleeves for Kepler-based graphics cards - the NVIDIA Ninja Graphics Technology! Opera Software today announced it is working full force to enhance storage space and data-center capacity. Since one of the most popular features of the Opera browsers is its data compression technology, Opera's residual data load has been growing exponentially, alongside its steady increase of users who have been won over by the browser's capability to lower data roaming costs and speed up the web on slow networks. Since Opera has shaved off billions and billions of unnecessary data bytes for its users since 2006; this surplus data, of course, has to be stored somewhere, and this is what the company is doing everything it can to keep up with. "We compress as much as 90 percent of the data for our 250 million Opera users around the world. We save people megabytes and gigabytes, but we need somewhere to store all the residual data," says Håkon Wium Lie, CTO, Opera Software. "The potentiokinetic data is quickly flooding our data centers." Potentiokinetic data comes from a corollary to the first law of thermodynamics: no information bits can be created or deleted, just transferred to another storage solution. "If you check your data-compression level in Opera Mini or with Opera Turbo, you can see how much data we shaved off in our servers. All these bits have to be stored somewhere. First we thought about dumping the unwanted data into the fjords, but the impact on ecology and local tourism would be too great. Then we reached out to CERN, my former employer. After all, they have a huge hole in the ground with only some tiny particles in it, and they share some of the responsibility for the problem at hand. You know, creating the web and all," says Wium Lie. The solution to the problem turns out to be crowd sourcing. "We decided we needed help and called out to our community. Happily, they came to our rescue. We already see Opera fans volunteering to help us take some of the load off our data-centers," says Wium Lie. Opera fans can sign up to receive encrypted data to store locally. An early test of the Data Unstorage Hosting system in Norway proved successful, with thousands of Opera fans offering to store just a little bit of data locally. "It's heartwarming to see how many people actually are willing to take care of some of the potentiokinetic data for us," Wium Lie continues. "Anyone can sign up at www.opera.com/portal/getdata/ to receive a small batch via email." The potentiokinetic data stored by Opera Software and shared with users for local storage is, of course, treated with the highest regard for privacy, so it's impossible to connect any of the data to the user whose browsing it was "trimmed" from, much as the hair on the floor of a barbershop or salon could not be re-associated with its head of origin -- not that this data has any hair in it. The residual data has also gone through an additional level of encryption before being shared, so it is both private and totally hair-free. 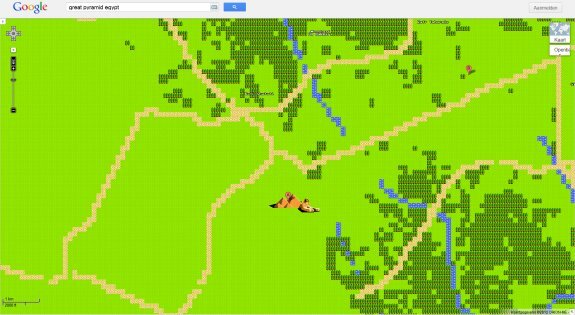 Google Maps is now available for the 8-bit Nintendo Entertainment Systems (NES), you can check it out over here. Gaming Lawnmowers do not exist today there are lawnmowers and gaming hybrids but those replacements that are 3″ thick and weigh up to 10 pounds nothing that would be called truly a gaming lawnmower. 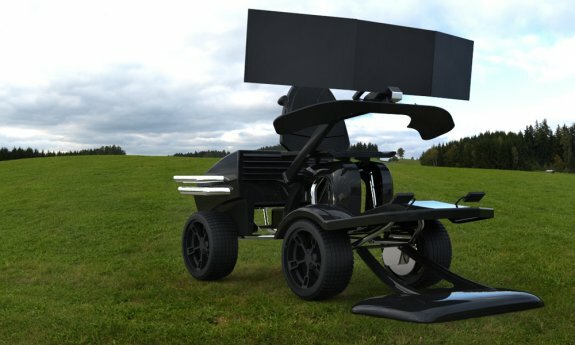 On the other hand it is engineered in carbon fibre not your usual steel series, powered to be faster than a rocket and do a better job at cutting grass than a razer. Mionix Antheia 2000 riding mower offers reliability and phenomenal performance at an ridiculasly high price. The 26-inch 1998CC Asschier & Geeze Electric Start motor with nine-speed transmission (7 forward and 2 reverse) so it can set your own pace while mowing. Memory foam padded seat for your comfort and 8” carbon ceramic brake discs to provide near perfect braking. Race spec independent coilover suspension make handling a dream, even under pressure. 20” specially lightweight alloy wheels wrapped in ultra low profile tyres improve styling and give you enough rubber on the road to handle this beast….. But this is just the spec of a lawnmower now we add the full gaming experience with the Specially built Mionix gaming system specs include. - 3 x 24” OLED monitors running at 2048×1536 px each! - Two carbon fibre analog joysticks with touch sensitive buttons. Heads-Up Displays form one of the foundations in gaming; it separates friend from fodder, healer from hater, level 5 trash from the level ?? instadeath. It tells you where to put your rounds and what you have left to give. There's no denying that without HUDs, we're useless. So why should IRL be any different? Denizens of the Snake, let us present to you, the Razer SnakeEyes -- the World's first true fully-realized Augmented-Reality Gamification HUD. Make full use of this vital interface you've come to rely on in-game, and put it where you need it most -- IRL. Play your reality and see the unfair advantage for yourself.